This charter is great for those who have a desire to catch one of the most prominent predators in the ocean. Typically, this trip ranges from 0-5 mile out to sea. 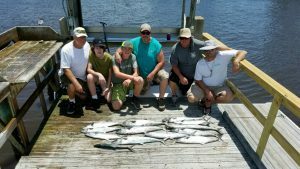 Holden Beach fishing charters offered by one of the most well-equipped charter fishing vessels in Holden Beach NC. Go on your fishing adventure with the knowledge and experience of a truly dedicated local fisherman. 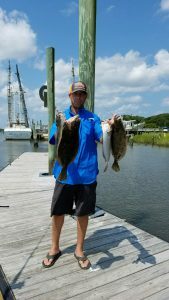 We fish for Black Bass, Grouper, King Mackerel, Tuna, Spanish Mackerel, Flounder, Wahoo, Shark, and more! 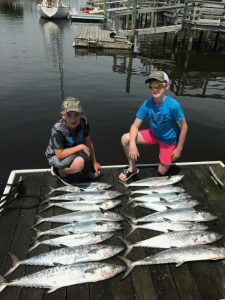 We offer charter fishing not only in Holden beach but Ocean Isle and Sunset Beach as well. We have the best rates! Charter fishing off of Holden Beach, North Carolina is year-round! 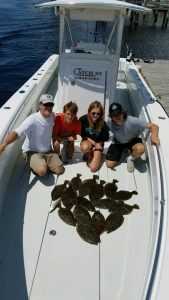 Call today to book your fishing charter today.